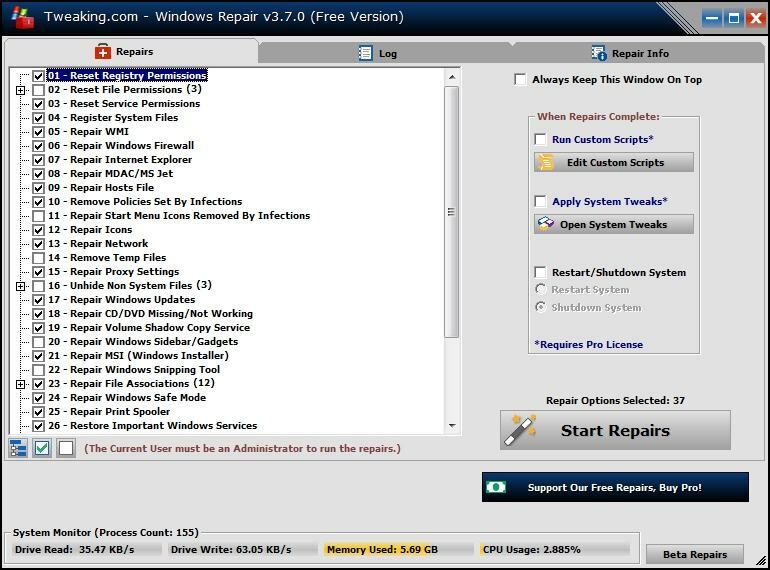 Tweaking.com - Windows Repairs section as always been completely free for personal use. We offer a Pro version. adds features like automatic updates, an enhanced drive cleaner, memory cleaner, speed tweaks and more. This allows you to support future development and get something in return!